The stout bronze fairleads on the Trident are a thing of beauty. However, they can be a bit of a liability. 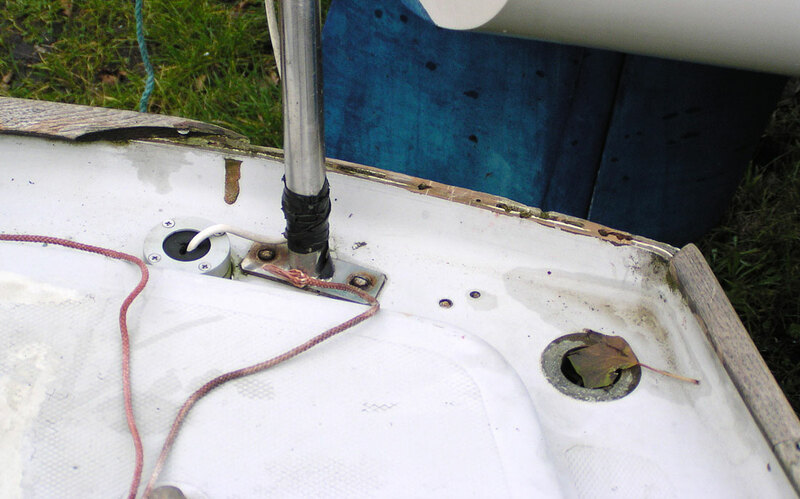 They can come under quite a lot of strain from mooring warps if the boat surges forward or up and down and their securing screws may work or even be be ripped out, causing serious damage to the toerail woodwork. 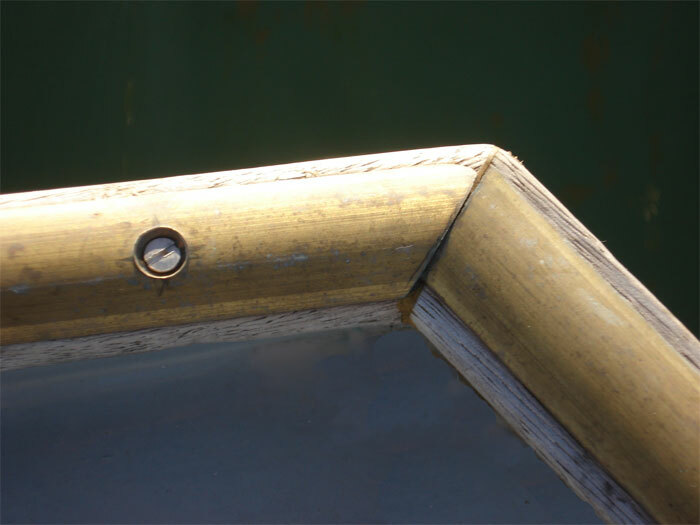 They may also enable water to leak into the joint between the deck and hull [click on any of the pictures to see larger]. The fact that when we bought Lottie she only had two of her complement of four fairleads rather points to this conclusion. Click on the pictures above and left to see the damage caused to woodwork and GRP when the missing ones were ripped off. We bought replacement fairleads. But after fitting new toe rail and taffrail cappings, decided not to use them. With no fairleads, mooring warps could wear the relatives soft iroko of the toerail. 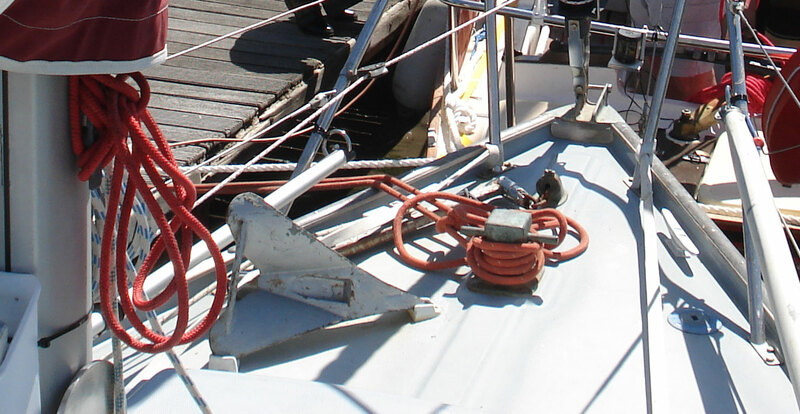 Though as Lottielives on a swinging mooring this was not a particularly pressing issue. More damaging, however, is her rusty mooring chain which is regularly hauled in over the toerail when picked up. 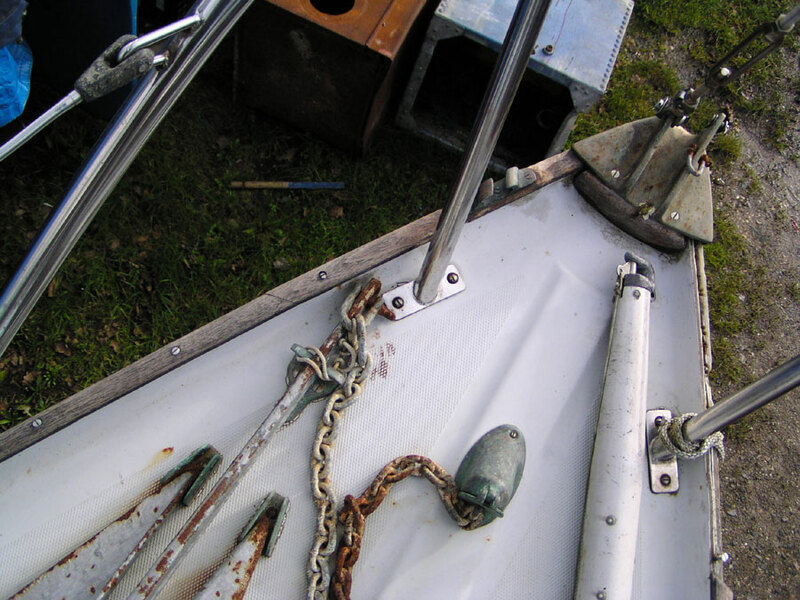 The mooring chain is a fairly vicious rasp. 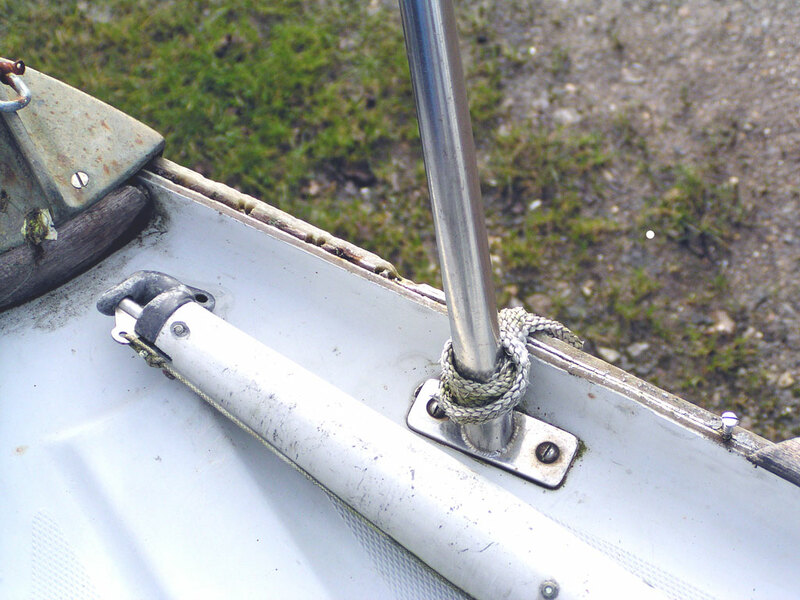 So instead of a fairlead we fitted a broad brass half-round rubbing strip to protect the woodwork. At the forward end this is an inch wide. It was drilled and countersunk every six inches or so and easily bent to the curve of the bow. 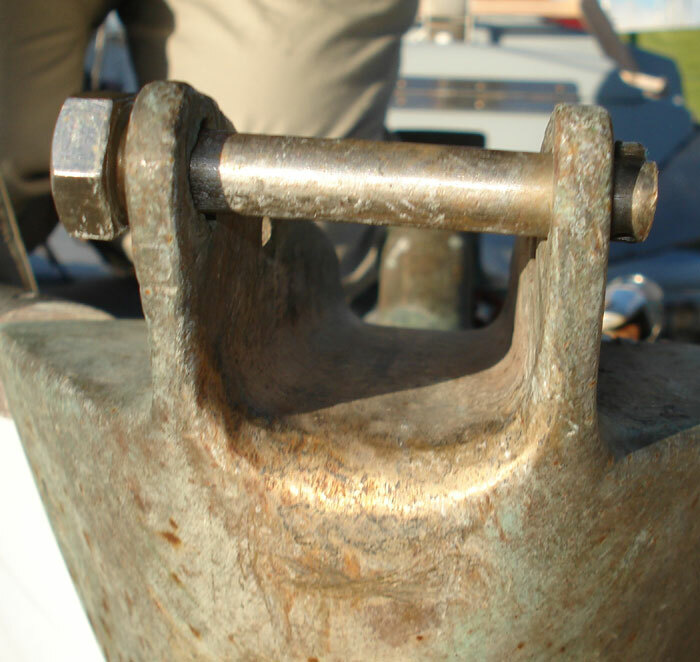 It extends from the stemhead fitting aft to just beyond the pulpit to provide protection from the mooring chain when hauled aboard and from warps from the samson post or the additional mooring cleats each side of the bow. 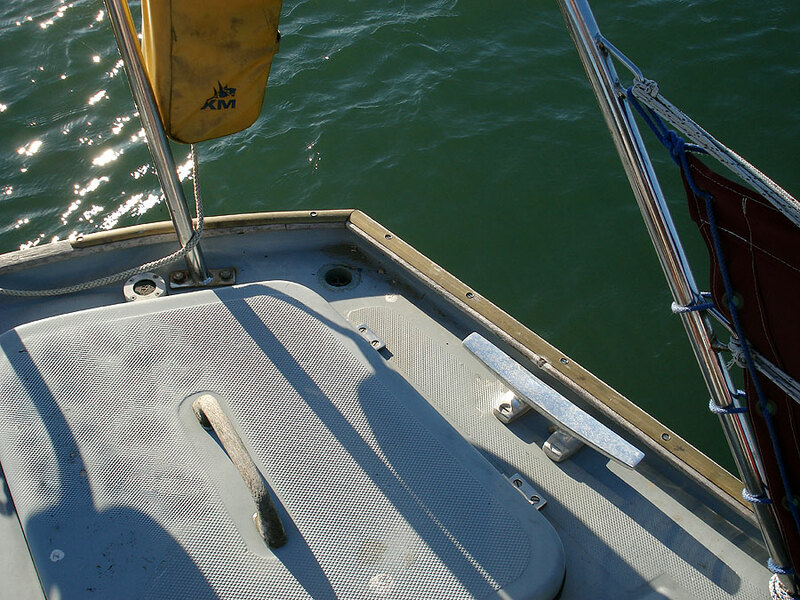 The brass protection strip extends aft beyond the pulpit to protect the toe rail from warps made fast to the samson post and mooring cleats. 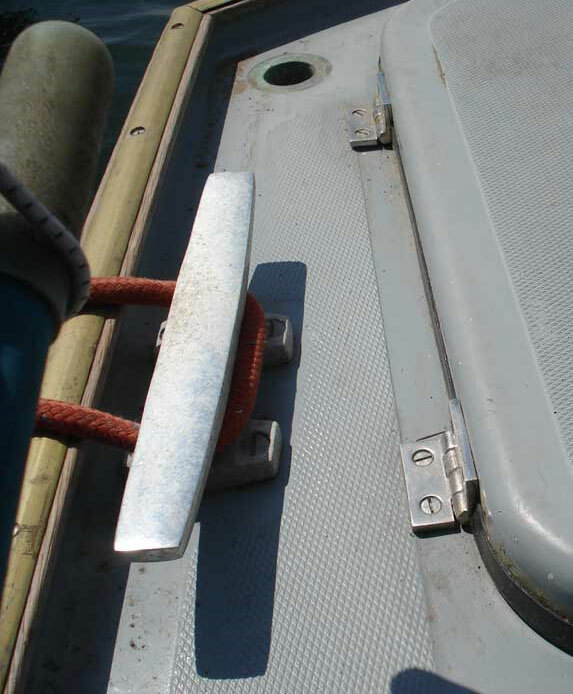 The fixing screws are quite short and secure it to the wooden rail; there is no need for them penetrate the hull deck joint. 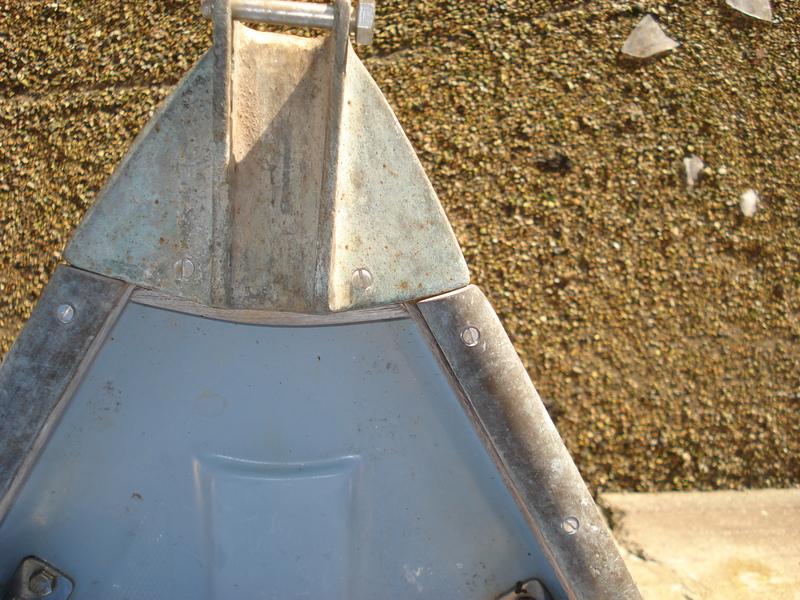 But even if they do the capping is never subjected to the kind of wringing loads that a fairlead might be and so are unlikely to encourage that joint to open up and admit water. Making sure the mooring and anchor chain stay put in the stemhead groove was also deemed essential to protect the toerail. 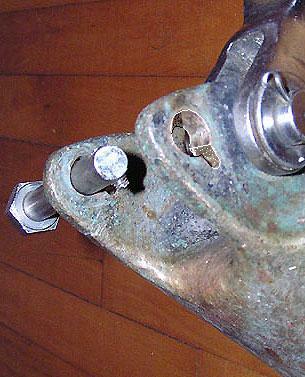 The outermost holes in the stemhead were enlarged to allow an 8mm stainless bolt to be passed through to enable chain and warps to be pinned into the stemhead. A keyhole slot was added on the port side. The threaded end of the bolt was cut off. Then 3mm hole was drilled and threaded near the end of the pin so a small grub screw could be inserted to help to retain the bolt. 8mm is overkill: it’s far bigger than needed but the head of an 8mm bolt is easier to grab hold of with cold wet fingers than a smaller bolthead. It was also the size we had to hand and the outermost holes in the stemhead were already worn to almost 8mm in diameter. 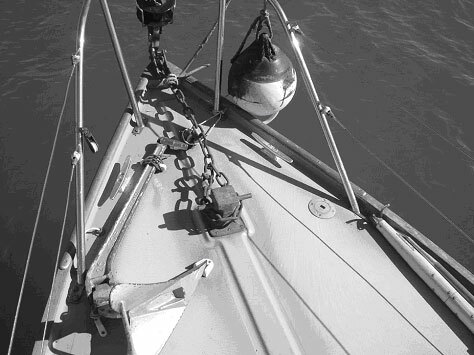 The sturdiness of the bolt also provides something to shackle the hauling tackle to when raising and lowering the mast.